The company behind the SMM brand is Sammitr Motors Manufacturing, a Thai company. Sammitr Australia, a 100% subsidiary was established in 2011 to directly support the growing demand for the SMM Steel Canopy in Australia and the Pacific region. 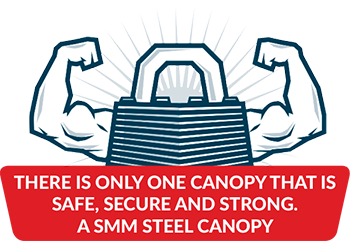 Sammitr Australia provides full sales and after sales support for the SMM Steel Canopies from their Dandenong site. Established in Thailand in 1967, Sammitr Motors Manufacturing Public Company Limited is the only dedicated Original Equipment Manufacturer (OEM) of quality steel canopies in the world. Sammitr has established the SMM brand itself as a leading name for tipper truck bodies, trailers, semi-trailers, specially designed trucks, steel canopies, and accessories for pick-up trucks. SMM also have a range of axles, hydraulics and compentry. Our continued commitment to quality assurance, not only in production technology improvement and R & D investment but also in the recruitment and training of our people, ensures we provide the best possible solutions to our customers. We believe that our extensive experience in working with global car and truck manufacturers, our quality assurance process, our production technologies, together with our dedicated supply chain and competent and experienced personnel, has given Sammitr the edge in terms of both product quality and lower production cost.